Accessorize Vermont Eyelet Curtain Set is a fresh and contemporary look which can dress any room in your home. Complete with eyelet header these curtains are easy to hang. The eyelet curtain set is made from a faux linen polyester front and polyester back. Care Instructions:Professional dry clean only. After dry cleaning and before use air thoroughly in a well ventilated area. Keep away from fire. Care Instructions: Warm Hand Wash. Do not Soak, Do not Bleach, Do not rub or wring, drip dry in shade, avoid wet coated sides from touching, do not tumble dry, cool iron on fabric side, do not dry clean. 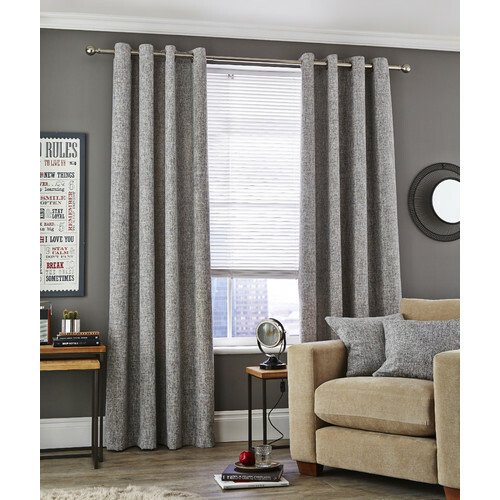 The Ink Vermont Eyelet Curtain Set is a Contemporary style product. Contemporary style bridges the gap between traditional and modern. Pieces feature simple and clean lines with smooth surfaces without any carving or adornment. You can shop for more Contemporary Curtains in the Bed & Bath section of our site. When you buy a Ink Vermont Eyelet Curtain Set online from Temple & Webster in Australia, we make it as easy as possible for you to find out when your product will be delivered to your home in Melbourne, Sydney or any major city. You can check on a delivery estimate for the Accessorize Part #: 53274 here. If you have any questions about your purchase or any other Curtains product for sale our customer service representatives are available to help.Whether you just want to buy a Ink Vermont Eyelet Curtain Set or shop for your entire home, Temple & Webster has a zillion things home. Happy with the quality of these curtains. 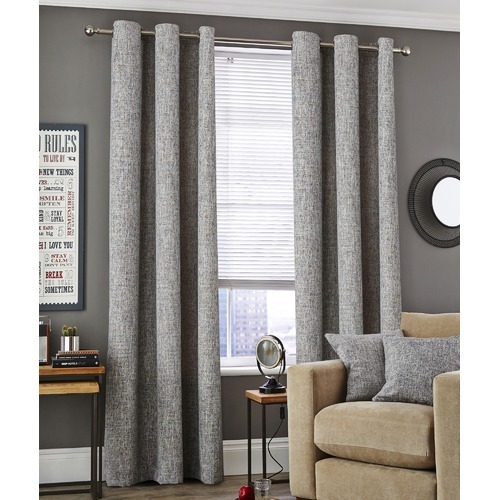 I have just ordered my second pair of these curtains as I really like them. The service & delivery were very good Thank you.